It felt a bit like the last "big" trip. My body did work so badly that it was not any great experience making large excursions. Anyway, I wanted to see Northern Thailand. We rented a car with a driver and took off. Our road trip was over 1000 kilometres. It was nice to experience Thailand from a non-tourist perspective. We lived in simple hotels and motels. We ate a dinner at a very simple restaurant, in front of the house where the owner's family lived. He asked if we wanted to eat chicken. Good, he said, and picked up a rooster from the backyard. That´s what I call fresh food. Everyone we met was helpful and hospitable. The dinner cost is rarely more than 100 Bath. An overnight stay at simple hotel with breakfast cost about 200 Bath. Luckily our driver spoke good English and was able to help us with the translation. 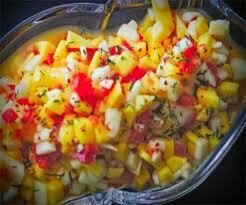 A dinner that I will never forget was the mango salad. It was more chillies than mango in it. It gave me fourth degree burns of the mouth and stomach. It took several days before my stomach was OK again. After a week on the road so we ended up in Kwai. We went by train across the river. It is inconceivable that the bridge held for the trains weight. It looked not sturdier than a standard deck construction. Apparently kept the train on the rails, because I'm sitting here and writing. I was very sceptical for a while when I looked out the window of the train. Many people have asked me where in the body's stem cells. The answer is that they are found in many places in the body. 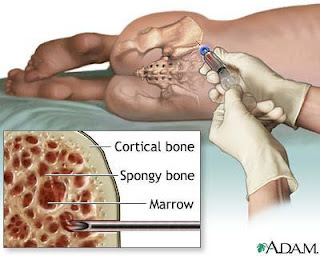 Mesenchymal stem cells are used in the MSCs. They are harvested from bone marrow. The procedure is not complicated and does not hurt more than the dentist. It is certainly a little uncomfortable but totally bearable. Today it was time for another MRI. I'm getting so used to the survey that today, I fall a sleep. Yorge woke me up when he had taken me out of the tunnel, and all X-ray sequences were done. The only problem is that my blood vessels on arms getting broken. Well, they have time to heal the next sampling. 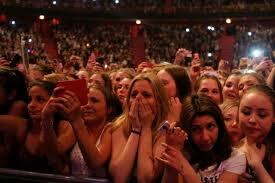 Today, Justin Bieber appeared on the Globe here in Stockholm. My 12 year old daughter has been nagging about this Justin, so that my wife and I have had eczema in the ears. Today it was finally time for the concert. We drove her to the concert and then went and accomplished some cases. After the event was over, we were not the only parents who were trying to find their children. There was chaos in the area. It took more than an hour to get from there. I had to take the car when I have trouble walking. Very bad choice!